1 Combine all ingredients except chicken and buns in medium saucepan with wire whisk. Bring to a boil over high heat. Reduce heat to low and simmer, stirring frequently, 5 minutes. 2 Stir chicken into saucepan; heat through. 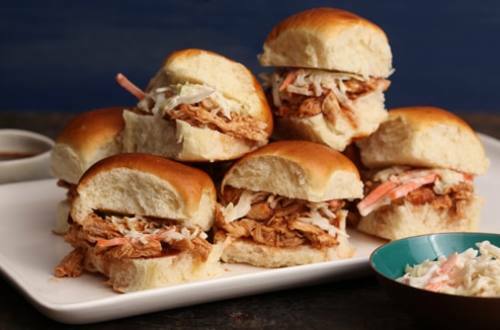 3 Evenly divide chicken mixture onto buns and serve, if desired, with your favorite coleslaw.